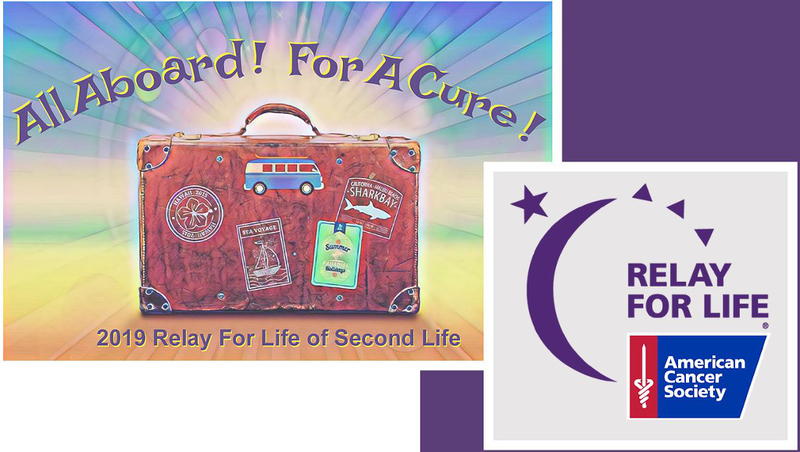 The 2019 Relay for Life Second Life fund-raising season is approaching, and with it comes some changes, some of which have been previously noted in these pages. The kick-off weekend for the core 16 weeks of activities will launch at 10:00 SLT on Saturday, February 16th, 2019. Team registrations for the season opened on Sunday, January 20th, at part of the ACS National Recruitment Challenge, which runs January 20th through February 3rd, 2019. Attending RFL of SL events. Place RFL kiosks and / or vendors in their shops / clubs. Display RFL information in their businesses. Gift cards and / creations can be donated either to teams or for Relay auctions and raffles. Live Singers and DJs can donate their services at Relay For Life events. Group owners can notices about Relay For Life events. People can sponsor RDL of SL events – contact Ariel Stormcrow or Dianna Wycliffe for more information. Land holders can donate their land for an RFL of SL event. Want to learn more about the American Cancer Society, Relay for Life and / or RFL of SL? Then why not drop in to one of the Information Day sessions being held on Sunday, January 27th, 2019. 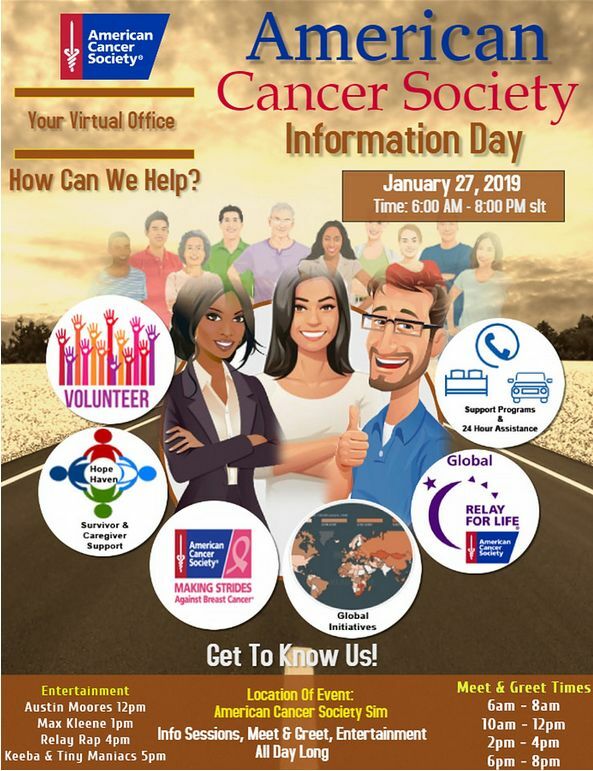 Each of these sessions will include the opportunity to hear about Relay for Life, Making Strides Against Breast Cancer, Survivor Support Groups, Caregiver Support Groups, connecting Second Life to Real Life American Cancer Society. Austin Moores 12:00 noon SLT. Keeba and the Tiny Maniacs 17:00. For a full schedule of the event, please contact Nuala Maracas or Trader1 Whiplash in-world.